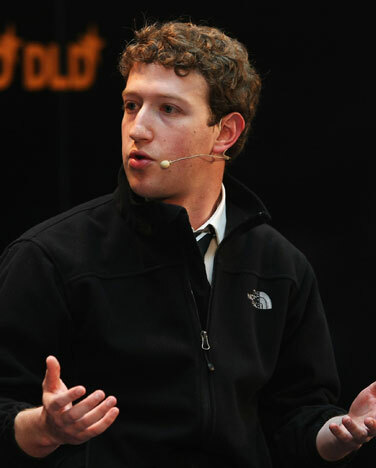 … now Facebook’s sheer scale is pushing it in a new direction, one that encroaches on your authenticity. Cheney’s post was triggered by the recent adoption of Facebook commenting by a number of large websites, a move that builds on the earlier integration of the “Like” button into almost every commercial, news, and entertainment site of note as part of Facebook’s “Open Graph” platform. The trajectory here seems fairly clear. Facebook is forging a global internet identity for you, one that it owns, of course, and with which it stands to make a fair bit of money. Helpfully, Cheney did not frame his complaint within a denial of the basically social nature of human beings along the lines suggested by Andrew Keen not too long ago. On the contrary, Cheney acknowledges our social impulses and is concerned that one singular online identity will not do justice to the complexity of human personality and truly social interaction. One indiscriminate identity will result in one inauthentic and shallow identity that will inhibit rather than promote meaningful sociability. 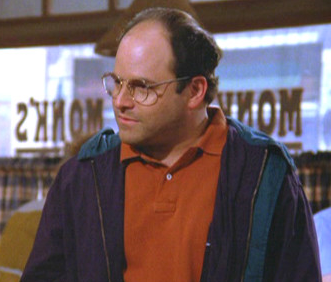 The George in question is, of course, the character of George Costanza on Seinfeld. In one of the more memorable exchanges from the remarkably memorable series, George explains what would happen if Relationship George were to come into contact with Independent George – Independent George would be no more. We can relate to George in this situation because most of us maintain a handful of different personas that we cycle through as we navigate our way through life. There are elements of our personality we reveal in some settings that we do not disclose in others; we present some aspects of our selves to certain people and not to others. When for some reason these roles come into contact with one another it is possible that a little tension and confusion may ensue. No news here. In the early days of the Internet, when a kind of felicitous anarchy seemed to reign, it was fashionable to view the anonymity of the web as a playhouse of identity. Individuals were able to try on and experiment with all sorts of identities — for better or for ill — with relative safety and little worry of being found out. It would have been unthinkable that one single and fully transparent identity would mark us across our Internet experience. But that is exactly the trajectory we have been on for the last several years and this increases the odds of our many worlds colliding occasionally leading us to experience the kind of existential crisis that George’s histrionics embodied. When our worlds collide, we too begin to sense that we might be losing our independent self, or the ability to control what people see and hear of us, control of what we might call our public identities. We have a more difficult time calibrating our public personas to fit specific audiences and tasks. Take for example the awkwardness and angst that arose when parents began joining Facebook and attempted to “friend” their children. A Washington Post story on the topic from September 2008 cited protest groups formed in response with less than subtle names such as “What Happens in College Stays in College: Keep Parents Off Facebook!” The author noted that it might seem odd that a “generation accustomed to sharing everything online” and with little or no apparent awareness of the distinction between private and public becomes apoplectic when merely two more people gain access to their already remarkably public personas. But this misses the point. What was at stake, of course, was control over who knew what. The students experienced exactly what George did – their worlds collided and their anxiety reflected the increasing difficulty of controlling their public identity. Facebook’s near monopoly on social networking has reigned in the proliferation of profiles and, if fact, studies suggest that a Facebook profile tracks fairly closely to the truth about a person. But there is still the question of who sees that more or less truthful public approximation of our personality and how much they see. Furthermore, should Facebook, or any social media site be in the business of compelling people to live with integrity, particularly while profiting from the enforcement of this integrity? More importantly, is it really integrity that is being forced upon us? Or, to put it another way, does the maintenance of various personas necessarily entail a morally problematic lack of integrity? Is duplicity the only reason why we would withhold some aspect of our personality in certain circumstances? Authentic and meaningful relationships typically depend upon the natural evolution of interpersonal trust and confidence. Demanding immediate and equal transparency across the board works against the natural progression of social interaction. Pace Mr. Zuckerberg, there are good reasons why we don’t reveal ourselves in equal measure to everyone and in all circumstances that have nothing to do with a lack of integrity.